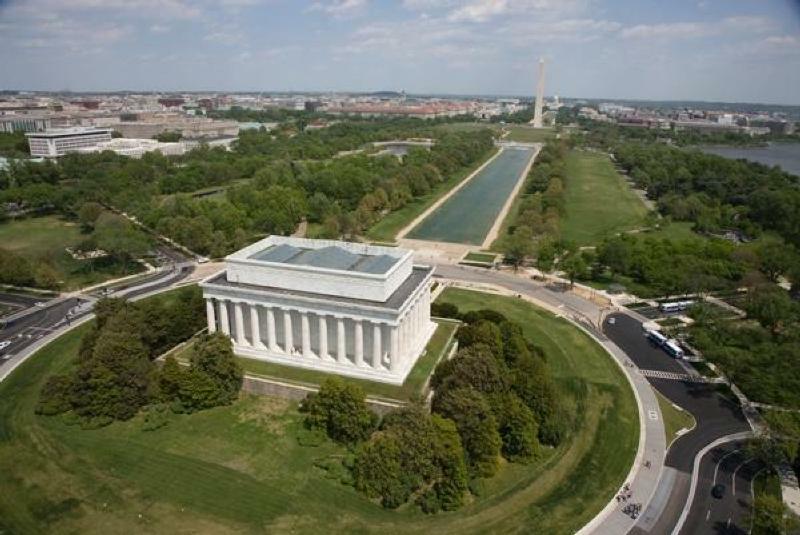 National Mall and Memorial Parks (NAMA) is responsible for more than 1,000 acres of parkland containing many of the United States’ more significant natural and cultural resources. The sites of NAMA are cherished symbols of our nation, known worldwide and depicted on everything from currency to the nightly news. Located in the core of the Nation’s Capital, NAMA administers, interprets, maintains, and preserves the Washington Monument, Thomas Jefferson Memorial, Lincoln Memorial, Franklin Delano Roosevelt Memorial, D.C. War Memorial, World War II Memorial, Korean War Veterans Memorial, Vietnam Veterans Memorial, George Mason Memorial, Pennsylvania Avenue from the Capitol to the White House, the National Mall, East and West Potomac Parks, Constitution Gardens, 60 statues, and numerous other historic sites, memorials, and parklands. NAMA is responsible for significant maintenance and preservation support for the White House as well as the United States Navy Memorial. In addition, NAMA cares for numerous federal park reservations which serve as welcoming gateways for visitors entering the historic fabric of the original 1791 Federal City. Some of our reservations now provide homes for recent commemorative additions to the landscape of the Nation’s Capital. The Japanese American Memorial to Patriotism During World War II and the Victims of Communism Memorial are but two of the many sites that help interpret the story of America’s integral involvement in world history. Beyond all of this, NAMA remains tied to its roots. NAMA’s origins are as old as the capital city itself. The open spaces and parklands envisioned by Pierre L’Enfant’s plan, which was commissioned by President George Washington, created an ideal stage for national expressions of remembrance, observance, celebration, and expression of First Amendment rights. With everything from colossal monuments to commemorative gardens, from presidential inaugurals to civil rights demonstrations, NAMA hosts history in the making. Numerous First Amendment activities and special events are held in the park each year. The park continues to evolve as Americans seek new ways to recognize our heritage.